What's your dream face wash? That's the question that Into the Gloss founder and CEO Emily Weiss asked users in a post on the site back in January 2015. But the question was more than a test of reader engagement; the brand actually used reader responses in developing the product. In the mornings, use it on wet skin as a traditional face wash. In the evenings, use it on dry skin as a makeup remover. So that's one less product to take with you every time you travel. Other highlights? A quarter of the water content has been replaced with rosewater, so you can expect it to have a great scent. The product features some of the same properties as a contact lens solution, so it'll be very easy on your eyes. The cleanser is crazy gentle: It's hypoallergenic, dermatologist tested, soap free, paraben free, sulfate free, fragrance free and not tested on animals. 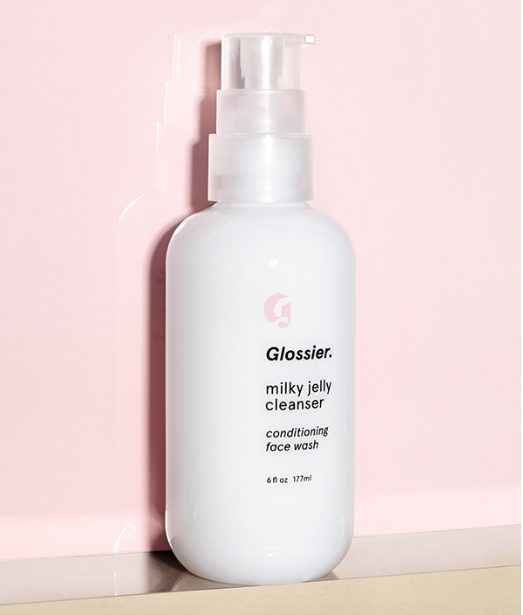 Try it for yourself for $18 on Glossier. 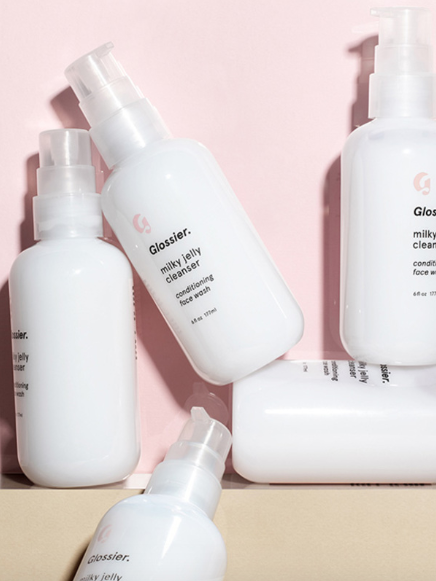 Even better, grab Glossier's Phase 1 Set with features the Milky Jelly Cleanser, plus Priming Moisturizer, cult-favorite Balm Dotcom and Perfecting Skin Tint. See the Milky Jelly Cleanser in action below! For more of our favorite products, check out our new shop. This super-luxe mask from Peter Thomas Roth uses 24 karat gold to smooth and diminish fine lines and wrinkles. Boscia's pore minimizing mask uses charcoal to draw out impurities, and quickly soothes your skin with its soothing gel. This gel mask from Dr. Jart contains water and hyaluronic acid to put the moisture back into your skin. Tony Moly's lemon mask uses citrus turns your skin bright and radiant. Perfect to use before a big event! Sephora's green tea mask mattifies and helps prevent blemishes on oily skin -- ideal for acne-prone skin!